Meet Marie Harris – Author of The Girl Who Heard Colors PLUS A Giveaway!!! Before I forget, let me quickly mention that I’m visiting my friend Debby Lytton’s MG writer blog today and I would love it if anyone wanted to go visit. She is a very talented author and her book JANE IN BLOOM is not to be missed! SO good! The link is HERE. Now then. To stave off the Olympic withdrawal that I know you’re all feeling, I have such a treat for you today! 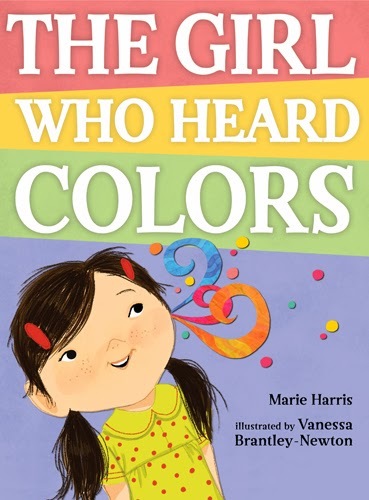 First we get to talk with accomplished author Marie Harris, and afterwards one lucky person will have a chance to win a signed copy of her newest picture book, THE GIRL WHO HEARD COLORS! G is for GRANITE: A New Hampshire Alphabet (Sleeping Bear Press). She lives in the woods with her photographer husband, Charter Weeks, and together they run a marketing business. She loves birding, sailing, and swimming in the Isinglass River. SH: Welcome, Marie! Thank you so very much for joining us today. I recently had the pleasure of reading THE GIRL WHO HEARD COLORS (Nancy Paulsen Books, an imprint of Penguin Books, 2013). The book addresses an unusual subject: synesthesia. I wondered what inspired you to write a picture book about it? MH: When I went in search of a new story to write, I “consulted” my own picture book—G is for GRANITE: A NH Alphabet Book—for ideas. I was looking for a New Hampshire woman who had not gotten the attention she deserved…at least not lately. I looked at the list on the “H” page (featuring Sarah Josepha Hale, the first editor of a women’s magazine in America) and discovered I’d mentioned in passing Amy Beach, America’s first female composer. So I set about learning everything I could about her. This turned out to be surprisingly easy, since the Beach archives are housed at the University of New Hampshire, a few miles from my home, and there are many recent recordings of her wonderful music. I fell in love! And I set about writing a novel for young readers with Amy as a character. My agent sent out the first chapters and I was contacted by Nancy Paulsen at Penguin who, though not interested in the novel, was charmed that Amy had a wonderful “special sense” called synesthesia. (Her parents seemed to take their daughter’s sound-color sense in stride, much as they did her gift of perfect pitch.) She felt that this subject would make a fine picture book. I agreed, but asked if I could change the protagonist to a contemporary little girl and give her a few difficulties that Amy Beach didn’t have. And that’s how I came to write THE GIRL WHO HEARD COLORS. SH: Can you tell us a little bit about synesthesia? MH: Synesthesia is quite a special gift to possess. Nonetheless, it does qualify as something that makes a person “different,” and that’s sometimes uncomfortable. My little girl, Jillian (named after the first synesthete I met when she was in 4th grade), discovers that telling people that she “hears colors” causes her playmates to make fun of her and grownups to worry. However, she also discovers that talking about her special extra sense can result in a happy outcome. As I visit classrooms as writer-in-residence or visiting writer, I have been astounded at the number of children who have an immediate answer to my casual question: ”What color is seven?” (Of course most kids look at me as if I’m a bit odd.) And once we agree that the student does, in fact, experience the “mixing” of senses (seeing letters and numbers in color, experiencing colors, and even tastes, with sounds) she can usually describe her gift in great detail. And she’s usually pleasantly surprised at how interested her classmates are at this surprising bit of information. (from my ten-year-old pen pal in England) One of my teacher’s voices tastes like raspberries and tea; but another’s voice tastes like spoiled cheesecake. (from the ‘real’ Jillian) Classical music is blue. Country music is olive green, and I hate country music and I hate olive green! (from an 8th grader) All my letters are in color. When I read, each sentence becomes a single color, then the paragraph does too, then the whole book ends up being a certain color. When I’m reading and my mind wanders, all the letters turn to black. When I start paying attention again, the colored letters reappear. (from a 5th grader) Your voice is deep green with bubbles and sparkles. (from an older woman who came to a library presentation) The other day, as I was slicing beautiful green and yellow and red bell peppers, I said to my husband: Can you hear those colors? He looked at me strangely. I think I’ll stop saying those things out loud! SH: Do you do school visits? What do they involve? MH: Because I work with students from K-12, I tailor my presentations accordingly. With the very youngest kids, I read my book (s) leaving lots of time for the fantastic free-association offerings & questions that the words and pictures evoke. I try to give the teachers a few “ways into” the text and ideas as to how to pursue some of the ideas presented in the story. Once students are reading and writing and talking more or less fluently, my visits take several shapes. I talk about how I came to writing. I tell stories about how the book(s) morphed from my notebooks to print, with lots of digressions and stories about the illustrators, the mistakes I made, the surprises I encountered, the things I learned. With high school students, I work with their teachers to complement whatever projects they’re involved in. Often (depending on what the school wants and the time frames) I create writing projects with students at all levels. What I try never to get enmeshed in are presentations to large groups in auditoriums. I explain to principals (who, understandably, want every kid in their school to be “exposed” to the visiting artist) that I’m not a puppet show or a string band. I feel I’m at my best (as are the kids) when we’re working with me in relatively small groups with lots of opportunities for conversation. All that said, I’m flexible and will work with every school to create a program that best fits their needs. SH: What do you hope to accomplish with this wonderful book? MH: Jillian has one of a range of types of synesthesia. I hope that her story prompts parents and teachers to learn more about the phenomenon and to celebrate this and all the fascinating differences among their children. SH: Thank you so much for coming to chat with us today, Marie. It’s been such a pleasure! As an added bonus, Marie is also visiting Tina Cho and Laura Sassi today, with advice for writers at Tina’s and her “unlikely” story of how she became a children’s writer at Laura’s, so please hop over and see what she has to say on their blogs! Tina also has a giveaway of the book! Have a marvelous Monday everyone!!! And please visit Debby’s blog if you have a minute – she would love to meet you all! I love that Marie is everywhere today! It's synesthesia overload. I had never heard of it till I read A Mango-Shaped Space, and now here it is again and agin! I've heard of A Mango-Shaped Space but didn't know it was about synesthesia, Genevieve! THAT is very cool! I feel like I should revise the blog post so people will be sure to see this, but so many people have already been by to read… Thank you so much for visiting with us today, Marie! It's been interesting and fun! I think so many libraries could benefit from this book, so that kids would have the chance to learn about synesthesia. And Sleeping Bear has a lot of great books! So glad you enjoyed it, Beverly! And I'm still marveling over the “fortunately her husband allowed her to continue composing…” sentence – I'm glad we live in a place and time when we don't need anyone's permission to write! I don't know anyone with synesthesia but live with a man who is color deficient and admit that sometimes his difficulty leads to some interesting clothing choices! Can't wait to read The Girl Who Heard Colors. It was nice getting to know you, Marie. It is also wonderful that you are bringing awareness to synesthesia. I've never heard of it until now. Thank you. Wow, Susanna – so many offerings; so much to learn. 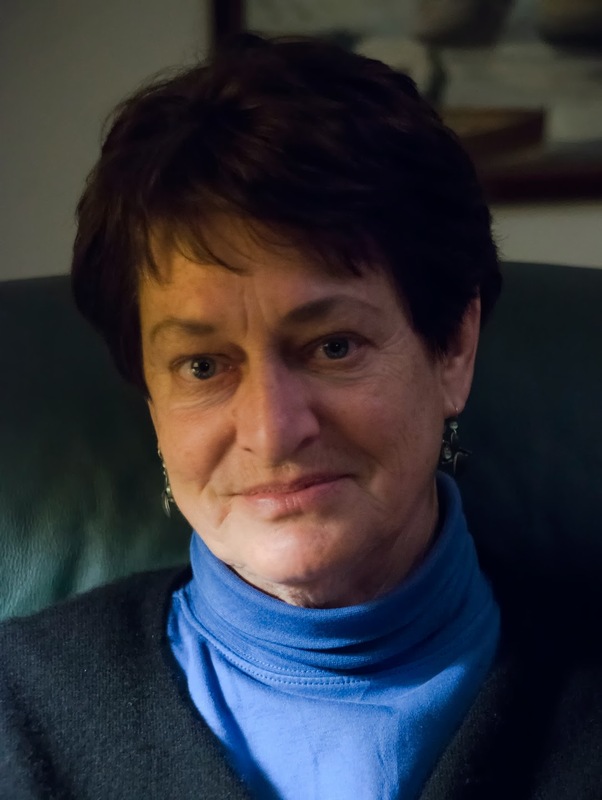 Thanks for the wonderful interview with Marie; I always enjoy hearing how writers get their inspiration. And finding book ideas right outside the front door helps reminds us all to just open our eyes and pay attention. Hearing colors, tasting words… what an interesting world. Would be interesting if there is someone out there who cannot ''see'' colors but can ''hear'' them. Or is the latter a prerequisite to the former? When considering senses, I'm not sure! Maybe Marie knows? I know, it does, doesn't it? I think it would be pretty cool to experience the world that way! It is always fascinating to hear how an author's story developed. Thanks for sharing. I've never had an experience with synesthesia but welcomed learning about it. Very interesting to see how the story developed. And, will need to read the book! I loved her story on…hmmm…. I think it was Laura's blog but it might have been Tina's because now I can't remember which one was which…about how someone asked if she wrote for children while discussing the poet laureate post and she said yes because she had written something she thought was for kids even though it had never been published. It reminded me of Mike Allegra's story of saying he had a thanksgiving story when he didn't and writing one but quick which ended up getting published 🙂 Lots of great stories out there of how people came to writing!